In her letter to readers in the March, 2012, issue of the magazine, Martha Stewart Living editor-in-chief Pilar Guzman makes an intriguing comment about looking back to former issues of the magazine in order to move forward. She writes: "...we will feature images on this page that inspire us from the magazine's archives. Sometimes it's important to look back in order to move forward." As a longtime subscriber, I felt like playing along! I'll be raiding the archives each month to showcase my favourite issue. I'm truly enjoying the process of looking back at some of my favourite issues each month. Choosing my favourite April issue was simple, since it is one of my favourite issues of all time. 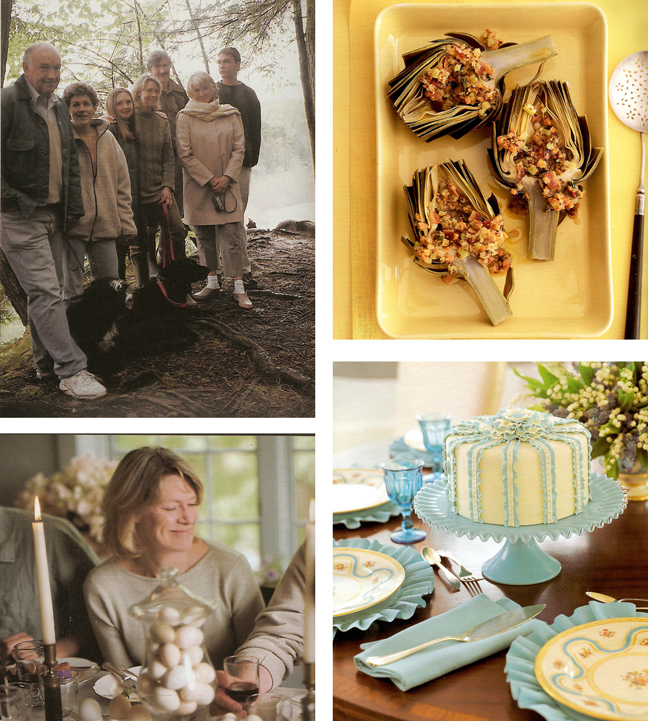 The 2001 April issue has all of the classic Marth Stewart elements that make the magazine so great, including investigative articles about some of the simplest and most-overlooked elements of the home. This scrutiny of seemingly ordinary or traditional objects is one of the reasons I first fell in love with the magazine. 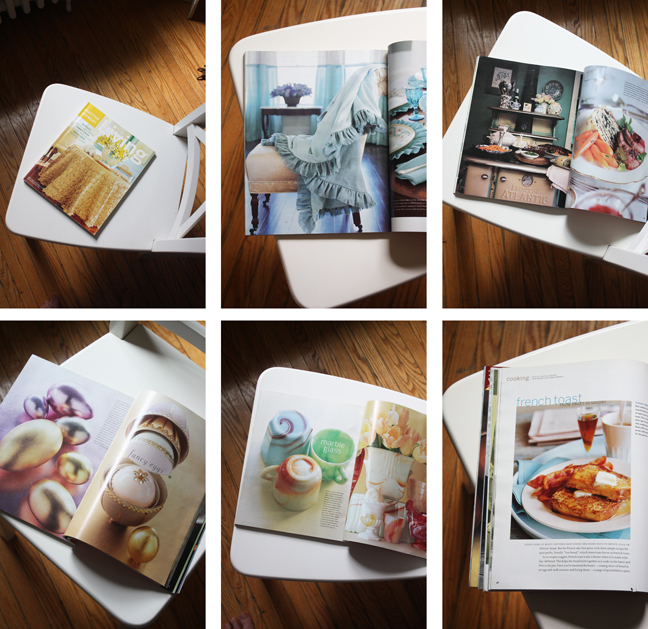 It is a signature of the Martha Stewart editorial team that sets it apart from other lifestyle publications. I had no idea you could learn so much about ruffles, for example, or employ them in so many wonderful ways. Kevin Sharkey did a brilliant job on this article about ruffles, using Martha's Lily Pond Lane home as the setting for all sorts of ruffle details: on curtains, throws, table cloths, placemats, bedskirts, bedspreads and even cakes! In another section of the magazine there are instructions on how to clean ruffle details on textiles. The idea of taking a theme and reimagining its possible uses was invented by Martha! Demystifying the seemingly complicated with carefully planned how-tos while providing historical context is something I will always admire about Martha. 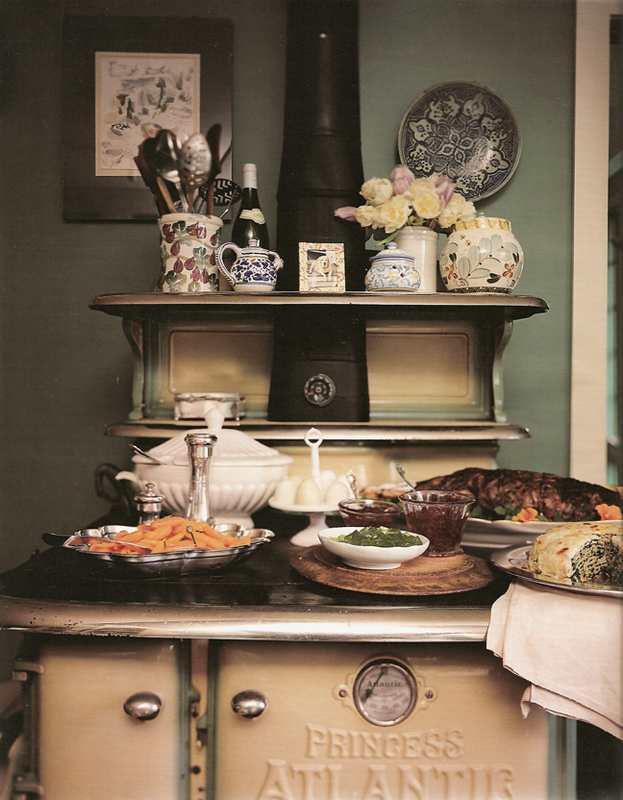 One of my favourite Martha Stewart Living articles of all time is also in this issue: Easter at the Blue Barn, by Frances Boswell on page 180. I remember reading this article in my two-room college apartment during a rainstorm, missing my family back home, knowing they would be having Easter without me this year. I lived vicariously through the lush photographs by Christopher Baker and wondered about this beautiful home that was built on the foundation of an old barn in upstate New York, painted blue, with views of rolling hills and a nearby waterfall. The food on the pages, the country setting, the story about the couple who occupies the space - well, it gave me a sense of comfort at a time when I really needed it. 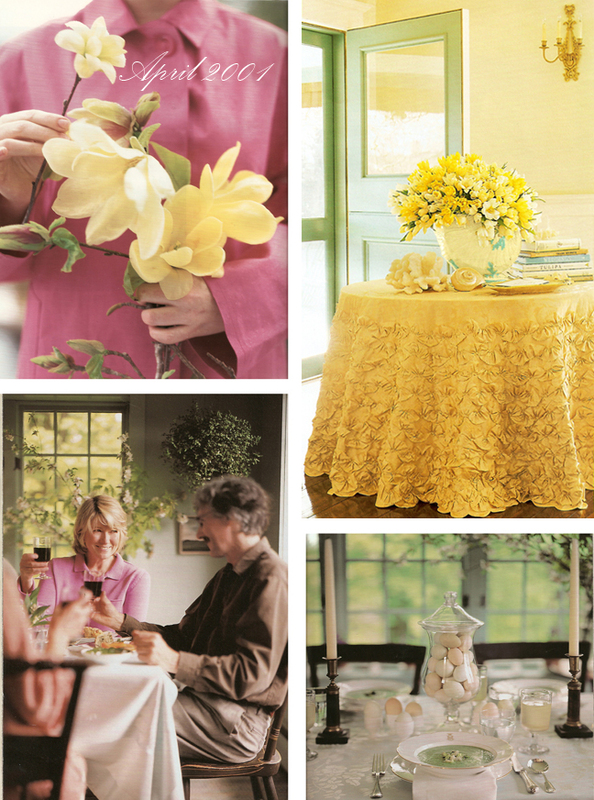 The unifying colour throughout the issue is definitely yellow, with features on yellow magnolias and mustard, a bright yellow tablecloth on the cover with a big bouquet of yellow tulips. 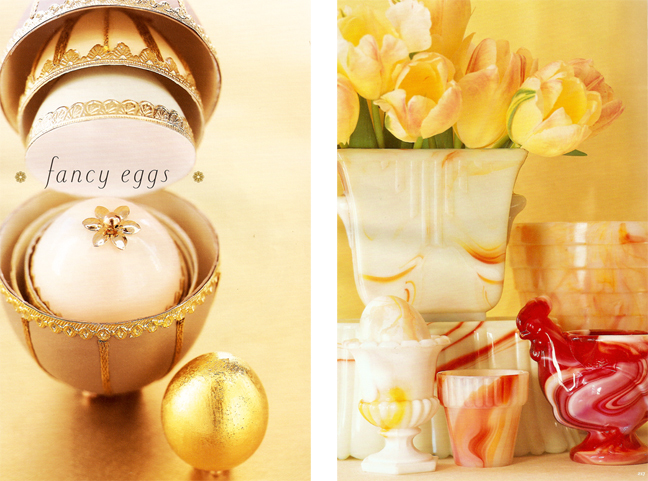 Little hits of the sunshine colour sprinkled thoughout the magazine give it a cohesive mood, whether its a marble-glass vase or a golden Easter egg. I treasure this issue. Hi Andrew, back from my Easter holiday. Beautiful images from previous issues. I downloaded my May issue it is really amazing, do you download her digital issues beside reading the magazines? Anonymous, yes, the magazine is more inspiring than we may know. So many people use it for ideas and inspiration. Thank you for sharing that story. @Rowaida: Are those YOUR sweets?? You did an amazing job!!! Thank you Andrew! Yes they are. I don't have Twitter. Please send me a private email!